This certification is an assessment of proficiency in programming using Data Structures and Algorithms under a proctored environment. 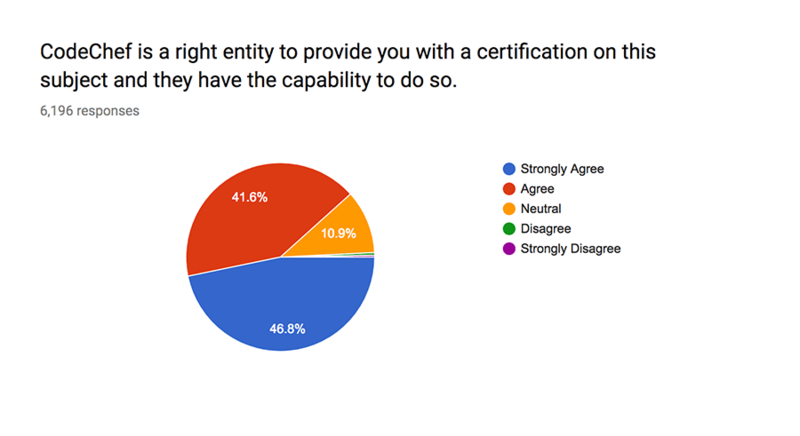 The certification can be used for a lifetime as it tests a candidate’s grasp on subjects that are very fundamental to the field of computer science and durable; they do not change with technological advancements. Through this certification, it is our mission to provide a reliable, valid and fair method of assessing the skills and knowledge needed to become better programmers and develop a community of highly skilled certified professionals who are good problem solvers. The grasp of Data Structures and Algorithms is the heart of learning Computer Science. Today, in the IT industry, there is a vast shortage of professionals who have a command on this subject. In fact, recent studies have corroborated our belief that a vast majority of engineers in India are unfit for software development jobs, a fact that we identified and took on to fix 9 years ago. While the subject is taught in most Engineering Colleges in the country, there is hardly any standard that is being followed in the assessment of the skill levels. We believe that a Certification provided by the global experts in the subject will provide a good ground for the students and professionals to assess themselves. It also provides the software industry a standard to benchmark against and get access to the best students out there. 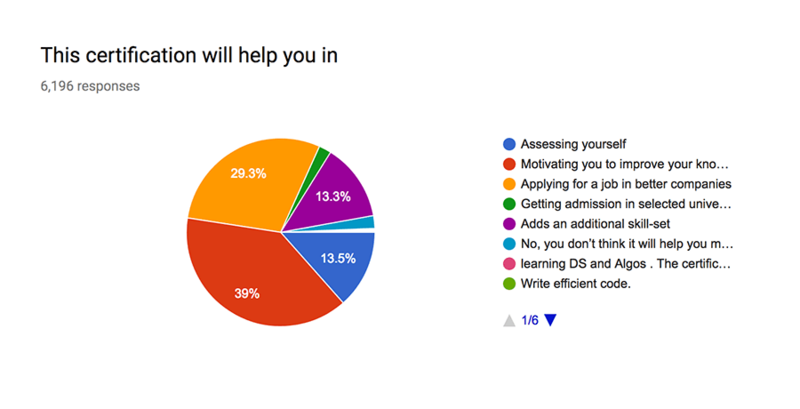 More importantly it provides a level playing ground to every software student and professional to choose a career path that she wants to. 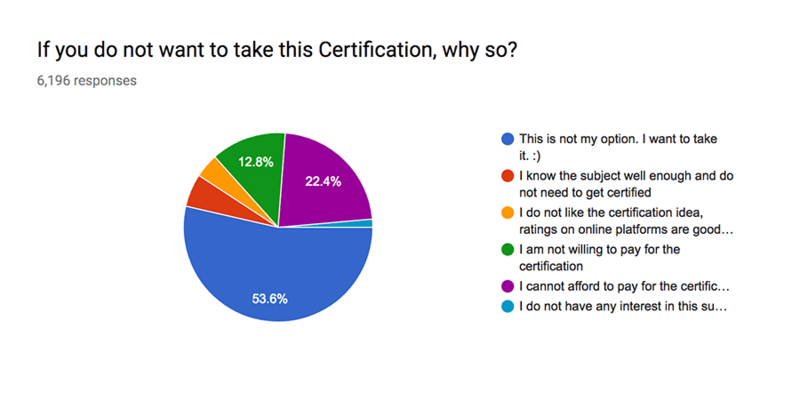 We conducted a survey among our users for which we got an overwhelming response in favour of the need for such a program.